Anthony Barr had the Falcons right where he wanted them. Nice rope-a-dope. That's the Falcons' 19th fumble of the season, ninth lost. 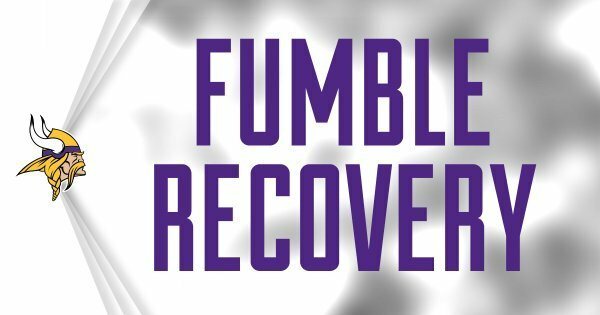 Well on #Vikings ' radar and a hell of a play by Barr.
.@itheeayb records his 4th career forced fumble while @iamswag1 collects his 1st career fumble recovery. Rhett is my favorite Viking. 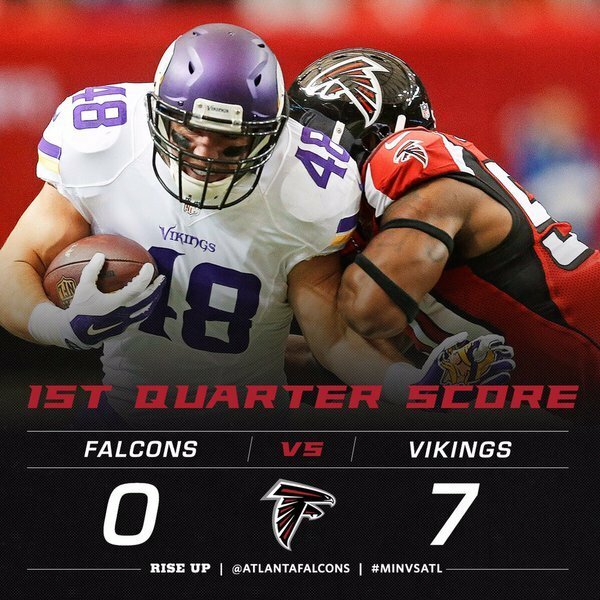 #Vikings lead 7-0 at the end of the 1st quarter. 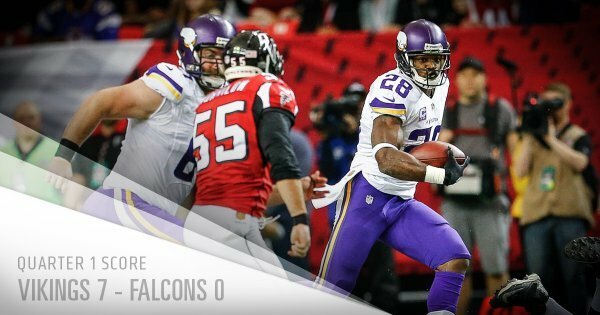 @AdrianPeterson has 9 carries for 33 yards and 1 TD. Rhodes has continued following Julio Jones. On the left side with him to start this drive.
.@itheeayb records his 3rd TFL on the season. Remember when everyone was mad because the Vikings "reached" for Anthony Barr a couple years ago?
. @itheeayb stuffs the screen pass for a 1-yard loss. 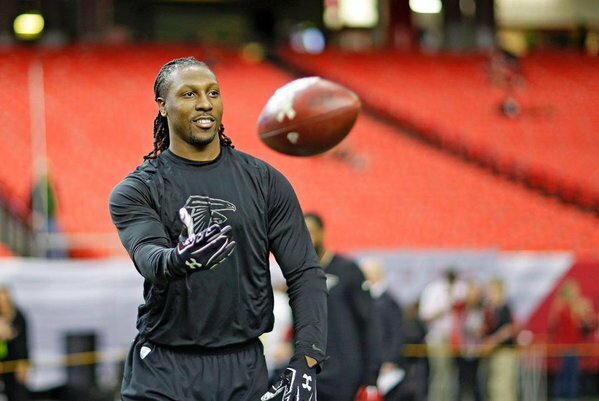 #Falcons LB Justin Durant is questionable to return with an ankle injury. About to see Robert Blanton, who did not get the start over Exum today. Can the Vikings sign John Lynch and get him in uniform? 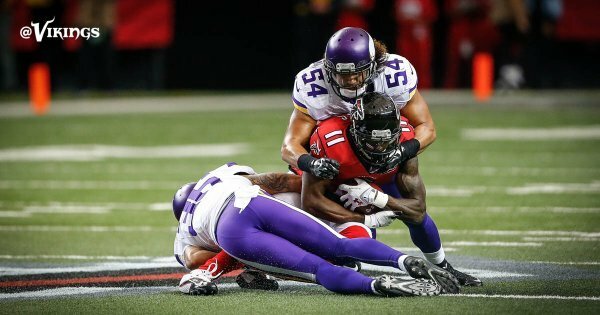 #Vikings S Andrew Sendejo (knee) is questionable to return. Five of Justin Hardy's eight NFL receptions have resulted in first downs. Pass broken up by Terence Newman holds #Falcons to a FG. Newman is playing in his 185th career game.